This is a fundraising event for the Mercury Bay Area School. Come along and enjoy stalls, rides, games food and more!! The Mercury Bay Area School provides primary and secondary education to resident families of Whitianga and surrounding areas including, Hahei, Hotwater Beach, Cooks Beach, Kuaotunu and Matarangi. 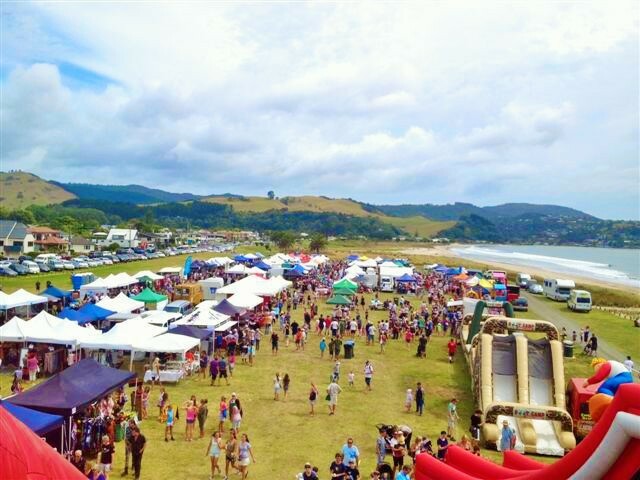 In the aim of raising well needed funds, parents and supporters of the school have formed this summer event for Whitianga which is now a permanent calendar attraction for visitors and locals alike. We look forward to the day when the Mercury Bay Seaside Carnival will be an integral part of the Mercury Bay community, providing a regular opportunity for that community to support its largest education provider.